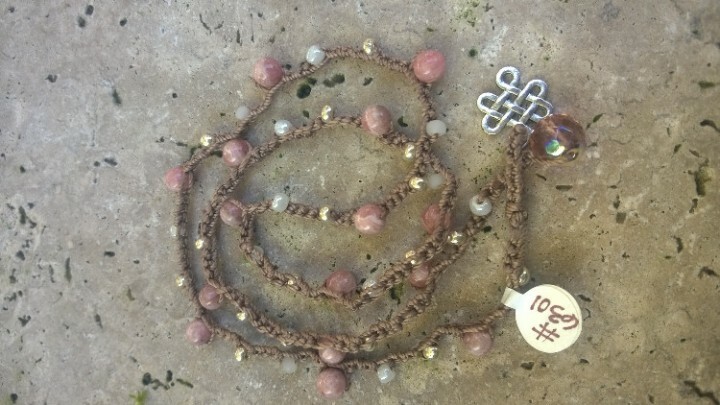 6mm rhodonite beads mixed with silver and white 6/0 seed beads tightly crocheted on light brown nylon thread, with a 10mm faceted pink Czech bead and loop closure. 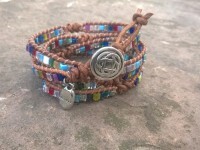 Embellished with a silver Celtic knot charm. 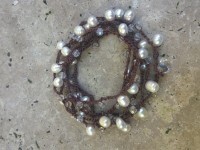 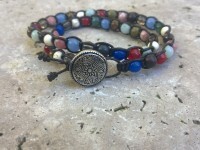 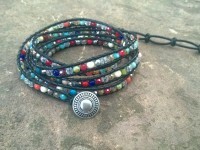 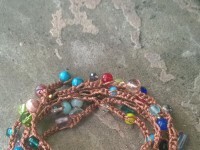 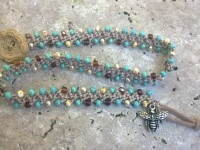 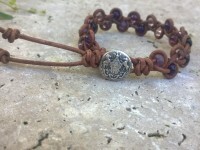 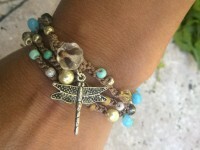 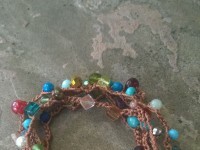 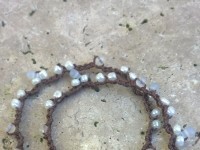 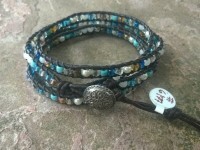 Can be worn as either a necklace or bracelet wrapped around wrist 3 times. 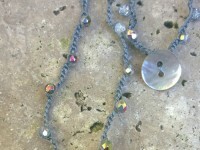 Total length is 23" long.